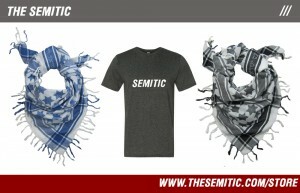 To celebrate the launch of the new site, The Semitic, we are launching a limited version of the Semitic Keffiyeh . This latest version measures 45? x 47?, 100% cotton and best of all, it features smaller blue Stars of David so that they can be seen as you wrap yourself in the kef! A stylish way to express your Semitic pride, fusing iconic imagery with modern design. Founded by Erez Safar, Shemspeed is an independent recording label & promotional agency devoted to producing and developing dynamic multi-cultural artists and interactive media.